Past pearls were a symbol of bad omen in the brides despite its beauty and elegance. 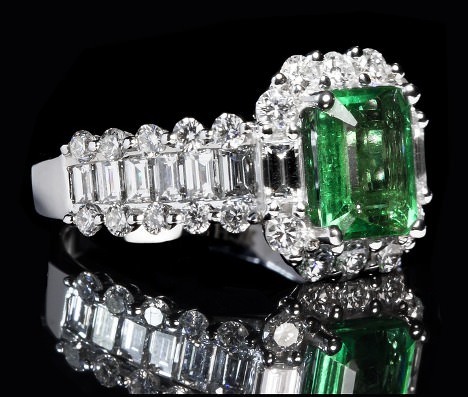 But today have become stars of the jewels for bride. And you will carry pearls on your wedding day? The pearls are known as the tears of the sea. For that reason it had gained undeserved bad reputation among marriageable girls. It was said that wear them the day of the wedding was omen of tears that would be shed during the marriage. 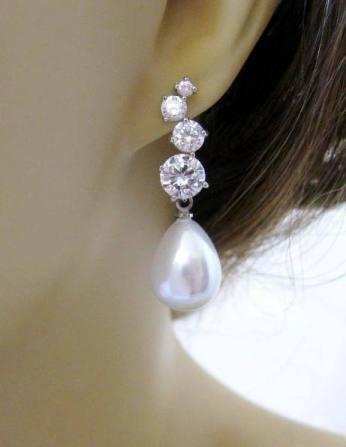 The pearls earrings are definitely a classic star. Whether these are in short format or with a little fall, will perfectly to a bride with a chic and elegant or romantic look respectively. The pearl necklaces are the ideal if you have a long neck and slim and dressed in a cleavage showing shoulders like strapless or boat neckline. 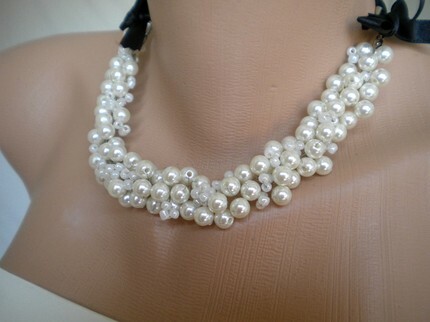 Also you can dare a long pearl necklace if you wear a vintage look on your wedding day. Just remember that the long shorten the figure optically so better for high brides or that the days wear heels high enough. The bracelets are one of the most used accessories by brides but if you wear a sleeveless dress and choose not to wear necklace, a pearl bracelet will be perfect to match your earrings. Headdresses, hair ornaments or tiaras also surrender to the beauty of pearls with subtle and elegant, not too overloaded that give extra sparkle and elegant look that any bride. There are many types of pearls of different shapes, sizes and colors. Choose the ones that best suit your own style, your wedding dress and your skin color and hair and you will not regret.